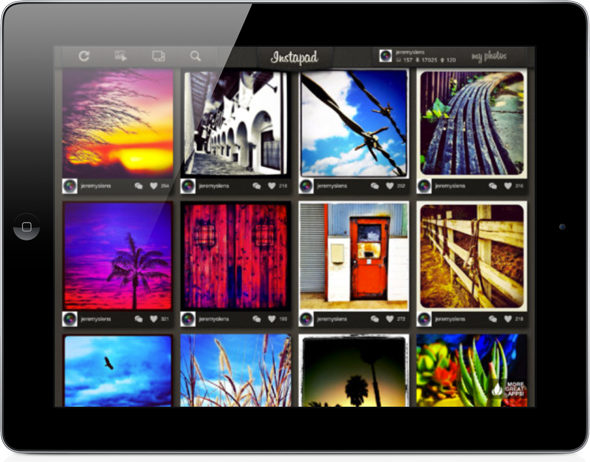 Want Instagram Viewer For Your New Retina iPad? InstaPad Pro Has Got You Covered! The free of charge Instagram photo sharing application has been going from strength to strength over the last couple of years and is widely regarded as one of the most successful apps available on the App Store, something that was recently recognized by Apple when they named Instagram as their app of the year. For those who may be new to the smartphone owning world, Instagram is essentially an app that was exclusive to the iOS platform but has recently been released to Android users, allowing members to take and share photographs with their followers across the Instagram network. The app allows a large number of filters and effects to be applied to the images, shared to a timeline and then published to Twitter or Facebook where others can comment on the picture. Although extremely successful, one of the gripes that users generally have with Instagram is the bland user interface and the fact that the developers have never produced an official iPad version of the app. The developers over at Red Foundry are hoping that their new InstaPad Pro (as opposed to its non-Pro version) app addresses both of these issues by giving an almost complete Instagram experience designed especially for the new Retina iPad. Fully optimized for the new iPad Retina display. The ability to search through tags. Maps for photographs that have been tagged with location data. Support for fifty two languages and comment translations. Ken Burns type slideshows, compatible with full screen. The option to easily reply to comments. The app seems to take advantage of most of the available API options and although photo uploading will be sorely missed, InstaPad Pro manages to offer a great Instagram experience that should keep those happy who get tired of looking at the rather unimaginative user interface on the official app. 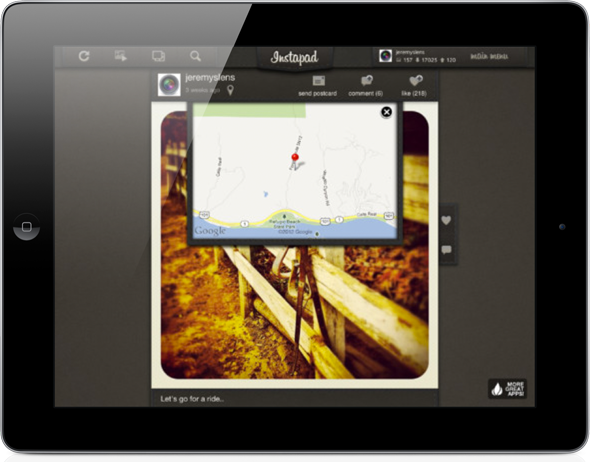 InstaPad Pro is available to download from the official App Store for $2.99 and requires an iPad running iOS 4.0 or above.